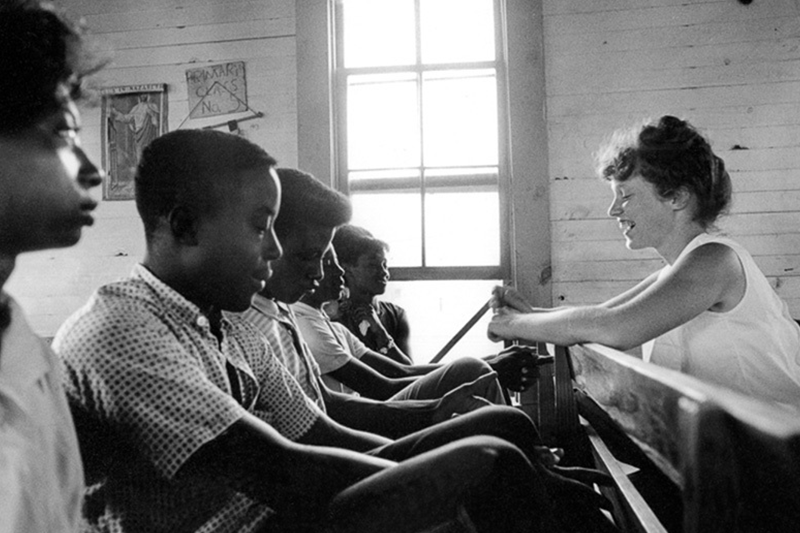 Edie Black, a volunteer from Smith College, teaches Freedom School at Mileston, a community of independent black farmers in the Mississippi Delta near Lexington in 1964 (©1976, Matt Herron/Take Stock Photos). High school student activism in Mississippi during the 1960s highlights the overlooked role of young people on the frontlines of the Black freedom struggle. Mississippians formed NAACP chapters across the state before and after the historic Brown v. Board of Education (1954) decision that mandated the desegregation of public schools. Civic leaders formed local voting associations to register African Americans to vote as well. Yet Mississippi remained what historian James Silver called the “closed society,” a state that actively resisted any movement toward racial equality or dismantling the legally enforced system of total segregation. Indeed, the brutal murder of fourteen-year-old Emmett Till in 1955, whose publicized photographs shocked an entire generation, reminded the world that Mississippi was intransigent in its commitment to preserving a society firmly entrenched in white supremacy. Though victimized and socialized into a violently enforced system of segregation, Black youth organized demonstrations throughout the 1960s that galvanized the Civil Rights Movement at the local level in ways that surpassed and challenged traditional movement leadership. Young people asserted autonomy in defiant ways that ultimately inspired their parents and movement leaders to reconsider if not radicalize their involvement in the historic freedom struggle. In a stark departure from previous generations, high school students in the 1960s challenged de jure segregation that defined the way of life in Mississippi. Young people in high school connected to college-aged students with direct knowledge of direct action protest, particularly the sit-ins and Freedom Rides that captured national attention. In towns without a historically Black college or university, high schools supplied the students who initiated direct action nonviolent campaigns typically associated with college students. These campaigns aimed to desegregate schools, businesses, and public spaces. Brenda Travis, a sixteen- year-old student at Burgland High School in McComb, joined Hollis Watkins and Curtis Hayes, two recently trained Student Nonviolent Coordinating Committee (SNCC) organizers, as they sat-in at the local Greyhound bus terminal in August 1961. It was the first direct-action nonviolent protest in the small Mississippi town. Local police promptly arrested the activists and a judge sentenced them each to thirty days in jail. After the Freedom Summer campaign of 1964, in which over 1,000 volunteers registered voters and taught in Freedom Schools, student activists formed the Mississippi Student Union. Student leaders sought to coordinate activism in middle and high schools in an effort to carry forth the momentum of the summer campaign and transform the schools they attended into sites of resistance. 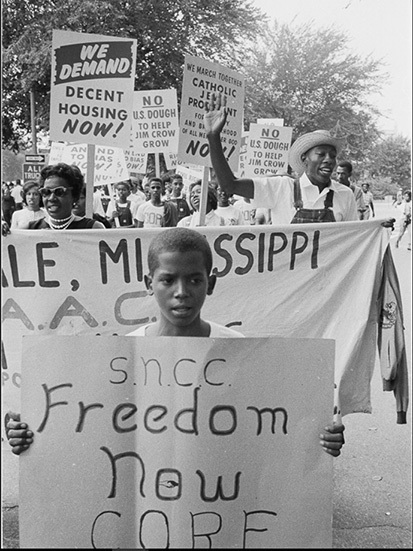 In January 1965 over two hundred students wore SNCC “One Man One Vote” buttons in Sharkey and Issaquena County to promote participation in the movement. They were summarily suspended after refusing to remove the pins and over 1,300 students stayed out of school in the turmoil that followed. Shortly thereafter, the school board suspended forty-five students who fashioned SNCC buttons in Philadelphia, where the bodies of the three slain activists, James Chaney, Andrew Goodman, and Michael Schwerner were discovered. Parents in both instances supported their children in earnest and filed a civil lawsuit to argue that the district violated their right to free speech. These instances of activism highlight the profound impact of youth involvement and the potential for youth to mobilize a larger movement with national implications. As Chuck McDew, SNCC chairman from 1960-1963, recalled, “It was only after we started working with the kids that we got the large groups of people to go down and attempt to register.”3 Students in McComb initiated the first direct action campaign in town and the insurrection served as an important lesson for the newly minted SNCC. They learned firsthand that young people still in high school could inspire their elders to become active, which helped bolster the voter registration efforts during the 1964 Freedom Summer campaign, for instance. Students involved in the Jackson walkout became activated as dozens of students like Hezekiah Watkins and Hymethia Washington remained committed to the principles of activism throughout their careers. Parents of suspended students successfully challenged their school districts in Burnside v. Byars (1966) and Blackwell v. Issaquena County (1966). These cases established the legal precedent cited in Tinker v. Des Moines (1969), which found that students maintained a First Amendment right to wear black armbands protesting the Vietnam War. 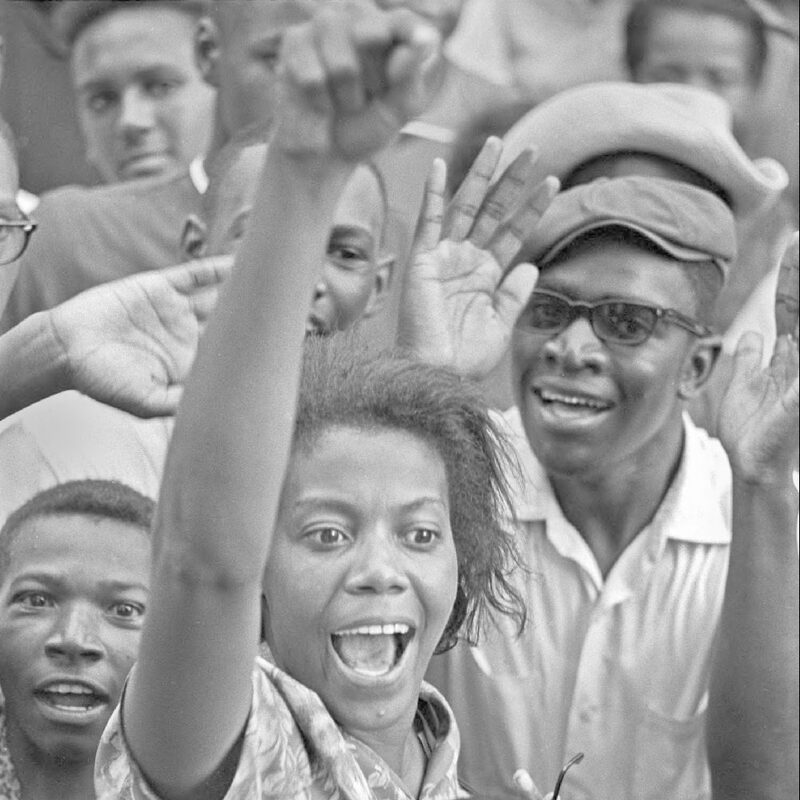 Young woman in crowd raising fist.in Mississippi, 1966 (Credit: Bob Fitch Photography Archive/Stanford University Libraries). While student activists learned the potential of student activism to inspire larger movements and tangible change, they also learned the harsh realities of protesting while Black. State lawmakers quickly rebuked student protest by enforcing “law and order” in public schools, many of which were about to desegregate. Legislators in Mississippi modified the legal code to criminalize youth who engaged in protest and repudiated protections legally afforded them. Amended laws stated, for instance, that the juvenile courts designated for youth under the age of twenty-one, “shall not have any jurisdiction of any child or minor.” Moreover, if a child was found guilty of civil rights violations, the state retained the right to commit the child to a more “suitable family home, or… the custody of a suitable private institution.”4 At the moment of a burgeoning student movement, the state institutionalized the criminalization of youth protest throughout the 1960s and 1970s. Legal retribution for protest communicated a clear message that young people would be punished to the full extent of the law. The racialization of youth through a disciplinary state maintains a contradiction in American education. On the one hand, schools promised opportunity to all young people through the language of the Brown v. Board of Education (1954) and students in Mississippi and the American South joined the movement and inspired local campaigns to achieve equality in critical ways. At the same time, the field of education demonstrated that Black youth would not be afforded the same treatment as their white peers, especially in desegregated schools. 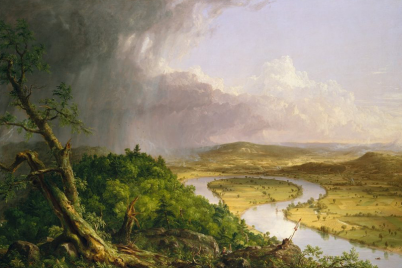 The history also contextualizes the current dilemmas of public education. The criminalization of youth during the 1960s in Mississippi and across the South offers a lens into how young people of color are suspended, expelled, or incarcerated at higher rates and in ways their white peers are not. Moreover, the disproportionate placement of students of color in the “school-to-prison” pipeline and a general divestment in public education through school choice and other insidious means perpetuate segregation and inequality. This history—both the agency of youth and their parents and the disciplinary reaction of the state—provides crucial context for identifying resolutions to contemporary disparities faced by disenfranchised communities that continue to utilize public education.